I remember when I graduated high school. I got a few pens and I thought they were the lamest gifts that you could get. 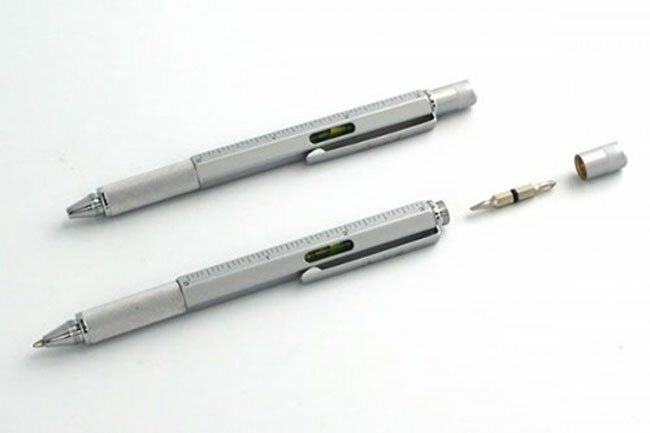 I think if I had been given a cool pen like this Metal Pen with Level and Screwdriver I would have been appreciative for sure. This pen is perfect for the graduating geek. This pen is a normal writing ink pen on one end. On the other end it has a small flat tip and philips screwdriver head under a cap. In the middle is a ruler for measuring things and a small bubble level. This would be the perfect pen for people that do a lot of DIY stuff. One of the best things about the pen is that the price is cheap. You can pick one up for $14.95. You had better get more than one though; I can see this being stolen.